When visiting a zoo, we want to get as close as possible to the animals. The problem is that if we get too close, the animals will most likely eat us. Often you’re getting partial views of miserable animals who are trapped in a small enclosure surrounded by bars and glass. Guangzhou Zoo in Southern China wants you to experience animals like never before without risking your safety. At the same time, they want to make the animals happier and more comfortable. They’ve opened the world’s first VR zoo and are giving you unprecedented access to animals like lions, monkeys, and elephants. The zoo was created by Time Network, a Guangzhou-based hi-tech firm which also employs scientists from the United States and England. 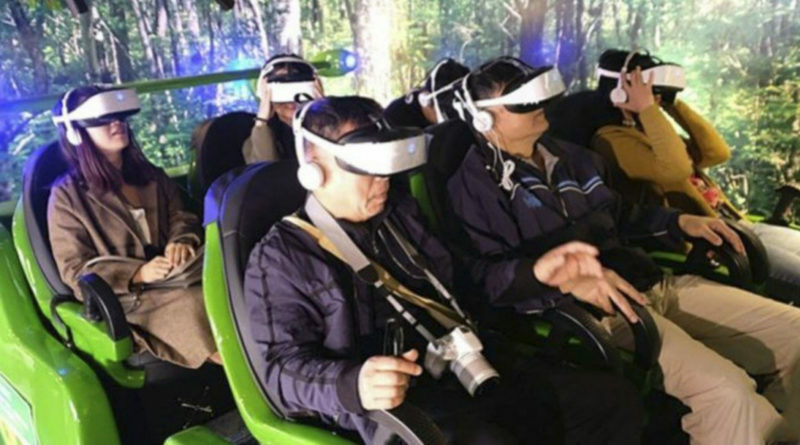 Utilizing enhanced Virtual Reality, Augmented Reality, 3D and holographic laser projection, Guangzhou’s VR zoo has created a totally immersive experience that’s truly unique. Guests use VR headsets and their mobile phones to observe the animals feeding, playing, and breeding. By scanning QR codes, visitors choose whether they want to be transported to say an African Savannah or an Indian Jungle. Information about the animals will also pop up on their phones and headsets. Some of the animals are computer generated and…also extinct. 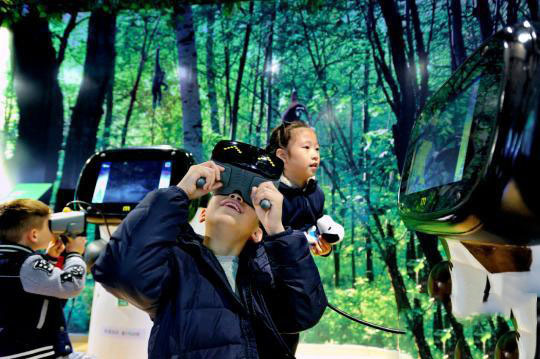 One of the most popular experiences at Guangzhou’s VR zoo is the dinosaur exhibit. Guests are taken back a few million years into a Jurassic Park type world where they can experience T-Rex, Triceratops, and Velociraptors up close. The Virtual Reality also serves another purpose. It gets visitors to access to these animals without disturbing their ecosystem. Instead of throwing animals into pens surrounded by bars, they can be kept in a natural wildlife setting without sacrificing the visitor’s experience. The natural setting keeps the animals healthier and guests can see how they live in the real world. If you can’t get to Guangzhou, you’ll soon be able to experience the animals from the comfort of your own home. 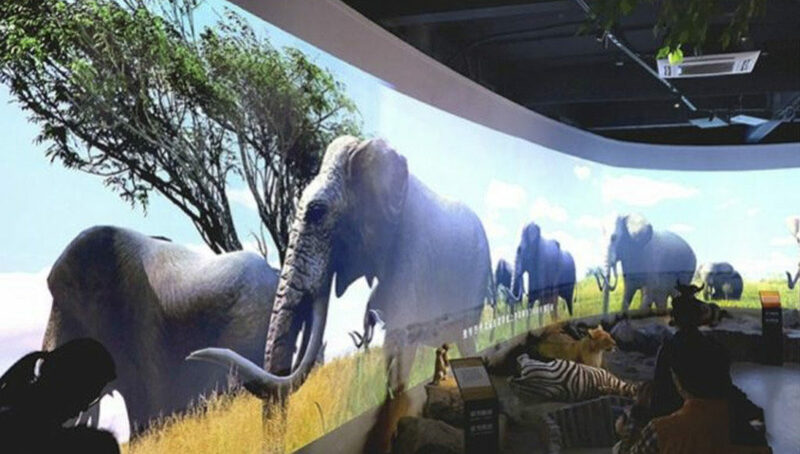 Chen Zujin, head of the Science Popularization Department at the zoo, revealed that there will be an online channel launched in the near future. 20,000 visitors participated in the VR experience on the very first day. Construction is ongoing and the full VR zoo hopes to be complete in 2019. The use of VR technology is not stopping with just viewing the animals. Zujin also said that the tech will be used in more areas such as animal research, protection, and preservation.